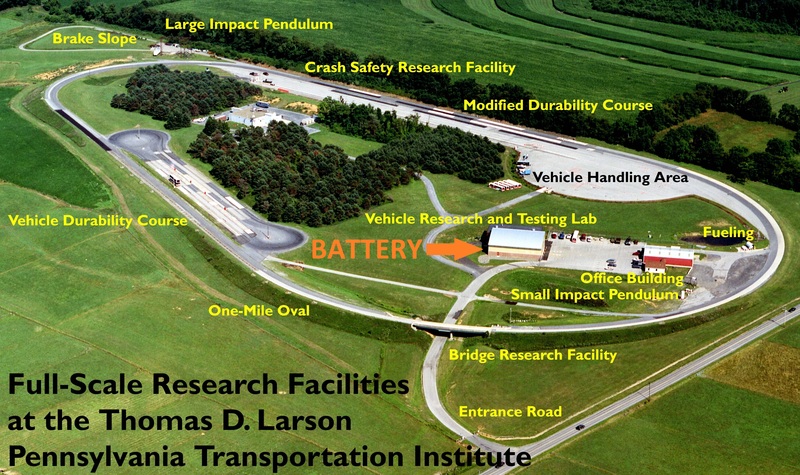 The Larson Institute's full-scale Transportation Research Facilities include a closed course test track designed to accommodate a broad range of research activities. The facility features a 1-mile oval, a large vehicle handling area, and a vehicle durability-testing course that allows additional pavement, vehicle, and appurtenance testing. The facility includes a special test section where test surfaces can be installed on a temporary basis. Current activities include crash testing of anti-terrorist barriers, comprehensive testing of new bus models and extensive battery testing. The Vehicle Research and Testing Laboratory is equipped with four test and maintenance bays and provides ample space for vehicle research, maintenance and testing. Power-processing and environmental control equipment in the lab provides hardware-in-the-loop simulation and test capability for vehicle battery packs and electric drivetrains. 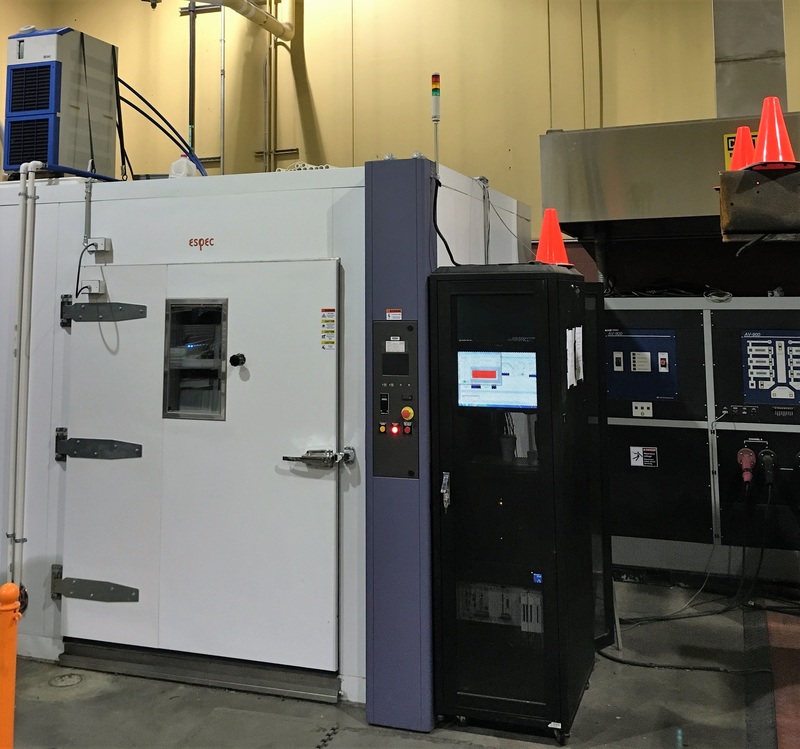 Housed within the test track facility, the Battery Application Testing and Technology Energy Research Laboratory operates a 250kW power processor, large environmental chamber, and powerful embedded real-time simulation and controller electronics. The following points summarize the technical capabilities of the laboratory equipment. 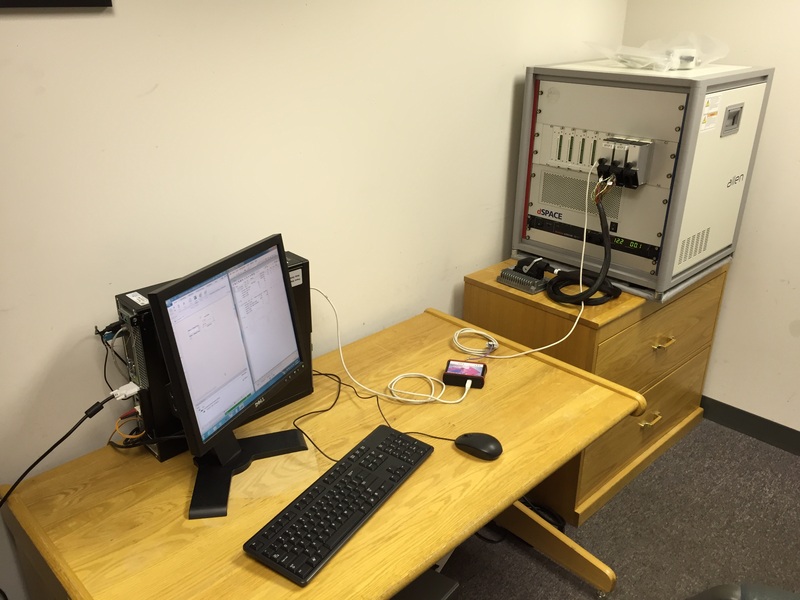 BATTERY specializes in component-in-the-loop testing which includes full scale and single cell testing/simulations as well as battery management and supervisor controller development and testing. Control algorithms are tested on embedded controllers while loaded by HIL benches such as our dSPACE and Simulink Real-Time systems. Our system designs and programming expertise provide a wide range of testing including long duration and automated simulations. The laboratories 250kW power processing equipment is also paired with our full-vehicle real-time simulation systems developed in MATLAB Simulink and deployed to our Simulink Real-Time Target environment. This system is co-located with our institutes 350 HP, large-roll (72 inch diameter), motoring dynamometer allowing for Battery and/or powertrain HIL. Battery systems can be evaluated in real-time while the rest of the vehicle or system is simulated. Also, powertrain systems can be tested similarly while powered by simulated battery systems. All at full scale. 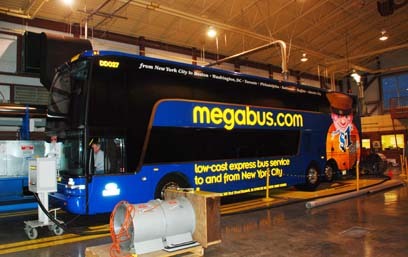 The primary task of this center is the operation of the Federal Transit Administration's new model bus testing program. The program's goal is to ensure better reliability and in-service performance of transit buses by providing an unbiased and accurate comparison of bus models through the use of an established set of test procedures. 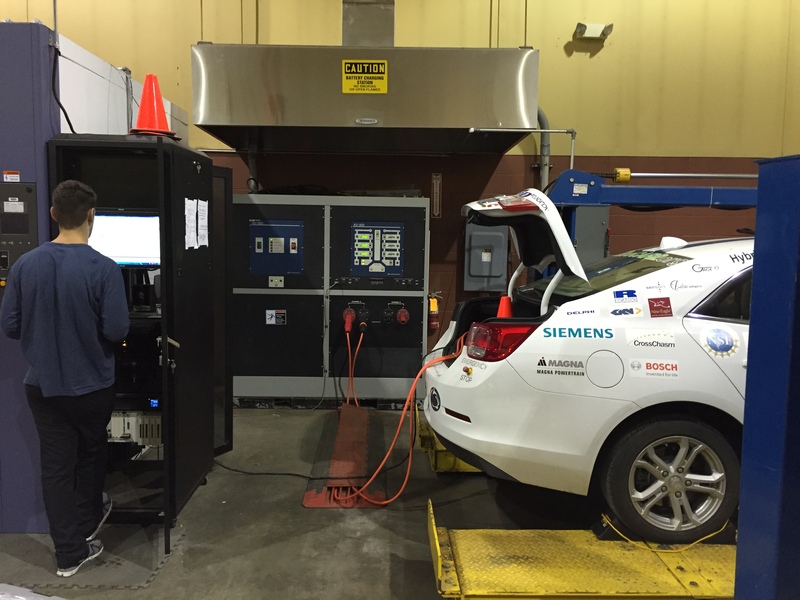 Extensive on-road durablitiy testing as well as on-road fuel economy, emissions, and maintenance processes are evaluated. A focal point for research pertaining to vehicle accidents, the facility provides researchers with the means to examine crash-related injuries and occupant safety issues; vehicle and highway apparatus design, testing, and analysis; and crash-related data and literature. The facility also offers educational and training opportunities for students, transportation officials, and the public. Research facilities include a rail guidance system for full-scale crash testing; large- and small-scale pendulums for impact testing of vehicles, vehicle components, and highway structures; and advanced computer and sensor systems for high-speed data acquisition, vehicle impact simulation, and data analysis. The facilities, systems, and equipment enable researchers to test passenger vehicles, buses, and heavy vehicles for factors such as structural integrity and crashworthiness. The full-scale crash testing facilities give researchers the opportunity to investigate vehicle interaction with roadside barriers, lampposts, and signs.